Place spinach into skillet and cook on medium heat until spinach begins to shrivel. Beat eggs together and pour into warm skillet. Sprinkle feta cheese and precooked spinach over top. Sprinkle with oregano, salt, and pepper. 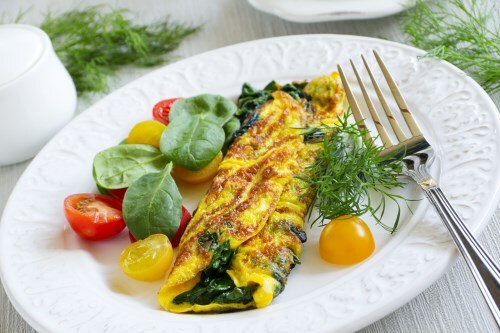 After eggs appear to be cooked ½ way through, fold omelet in half and cook until center reaches desired consistency.